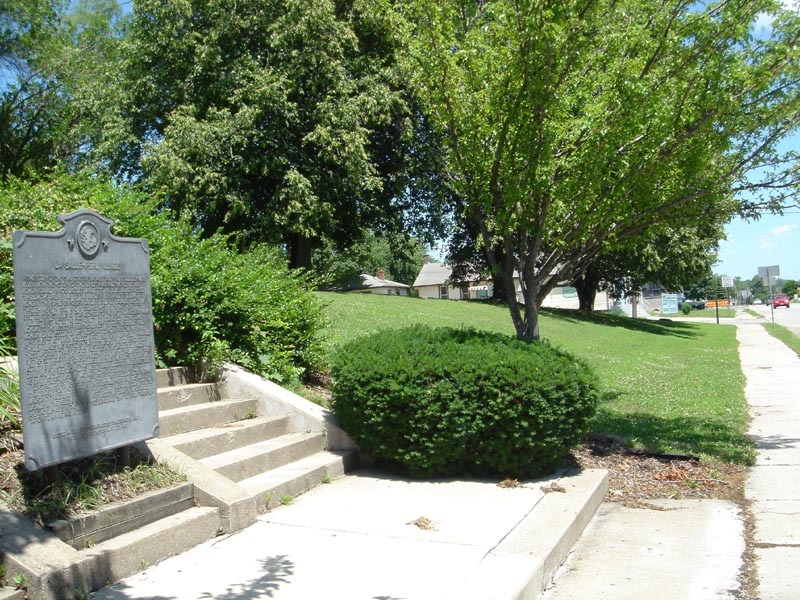 The story of the twin cities of LaSalle and Peru is closely interwoven with the history of the Illinois River and the Illinois and Michigan Canal. In 1673 Jacques Marquette and Louis Jolliet passed through this area by way of the Illinois River enroute to Lake Michigan. The explorer Robert Cavalier, Sieur de LaSalle, also came through here in 1680 and, in 1682-83, his lieutenant Henri de Tonti erected Fort St. Louis at Starved Rock to the east, now a state park. Jolliet first noted the desirability of a canal connecting lake Michigan to the Mississippi via Illinois. 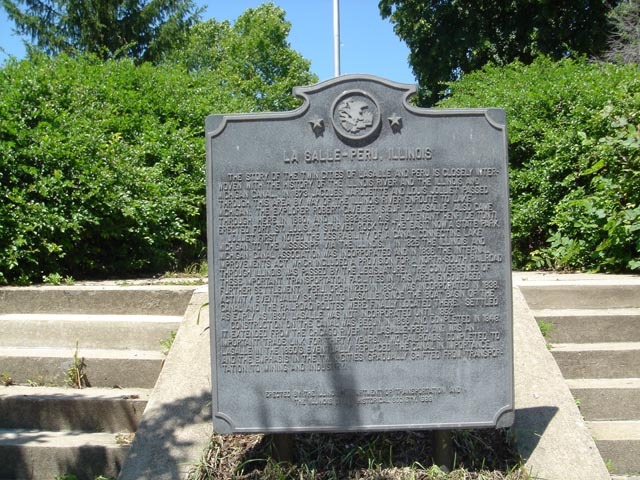 In 1825 the Illinois and Michigan Canal Association was incorporated and in 1836 the Internal Improvements Act which included provision for a north-south railroad through Illinois was passed by the legislature. The convergence of these important transportation facilities in this area encouraged further settlement. Peru, organized in 1834, was incorporated in 1838. Activity eventually shifted to LaSalle, since the boat basin of the canal and the railroad routes were finally located there. Settled as early as 1830, LaSalle was not incorporated until 1852. Construction on the canal was begun in 1836 and completed in 1848. It extended from the Chicago River to LaSalle-Peru and was an important trade link for thirty years. Two railroads, completed to LaSalle in the 1850's, eventually replaced the canal in importance, and the emphasis in the twin cities gradually shifted from transportation to mining and industry. Coordinates Lat N 41:19':982" Lon W 89:05':479 "